This very unassuming, yet very clever, little piece of tech is doing something absolutely new for the ISP industry – it is bringing automated, user-friendly fibre self-service to life. Everyone wants fibre. Fast, reliable high-quality Internet to service our demand for bandwidth-heavy business and streaming. It’s quickly becoming a way of life in South Africa. But it’s not yet accessible for everyone, and one of the biggest challenges facing ISPs is knowing how to manage the ‘interest’. Precinct boundaries are changing at a rapid rate and managing lists of leads manually, whilst keeping those leads updated with the most relevant availability information, is a monumental sales challenge. 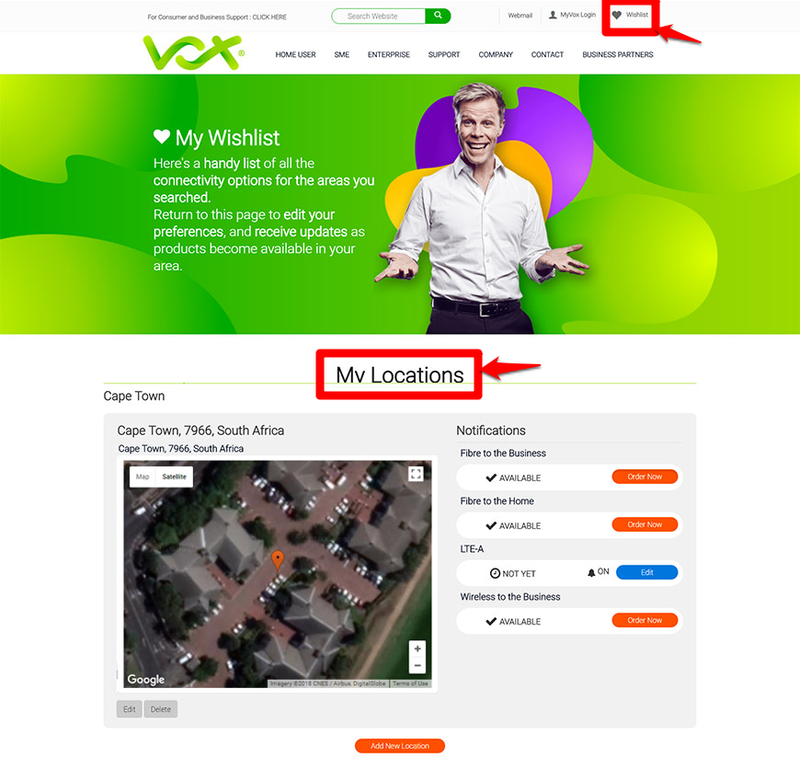 Vox’s lead management solution, developed by SOLIDitech, uses automatic location detection to enable customer self-service. Based on a pinned or entered location, the website uses real-time information to display a list of available ISP services. From there, prospects can “Order Now”, and be guided through the purchase process, or ask to “Keep Me Posted”, creating a real-time “Wishlist”. As Internet coverage expands to include new locations, customers subscribed through their Wishlist are notified as services become available. Customers can then complete their online purchase. Wishlists have become a gold standard for eCommerce, so why shouldn’t they also be used for Internet purchases? For Vox, the lead management process is part of their SOLID business automation solution where everything from service interest, engineer call-out and provisioning, to billing and customer support is managed on a single end-to-end platform. 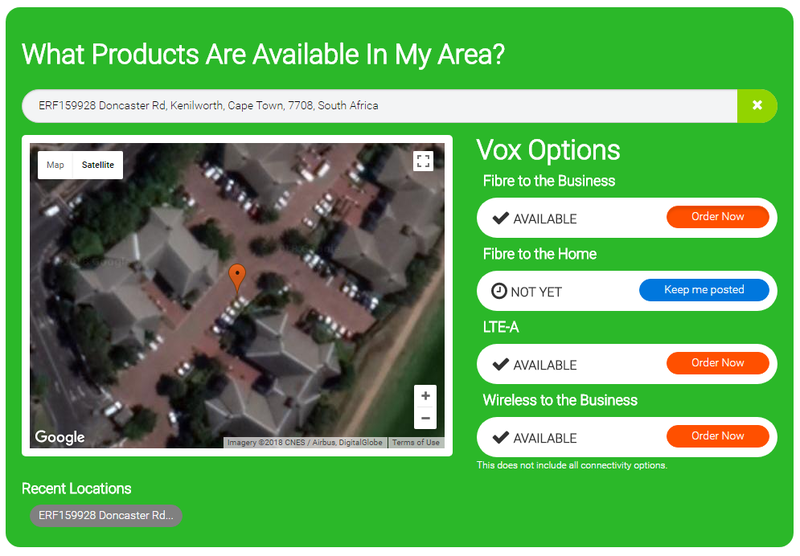 In addition to improving their sales response times, this streamlined and efficient approach to lead management also helps Vox to prioritise geographic areas with the best return on investment. Packed full of great information about the SOLID platform, how it works and what the key features are – our website has been designed with you in mind.